Simon & Schuster, 9781476767321, 368pp. With The Rosie Project, “Graeme Simsion achieved the impossible and created an entirely new kind of romantic hero,” Jojo Moyes, author of Me Before You said. Now Don Tillman returns in the hilarious and charming sequel to the international sensation. Get ready to fall in love all over again. 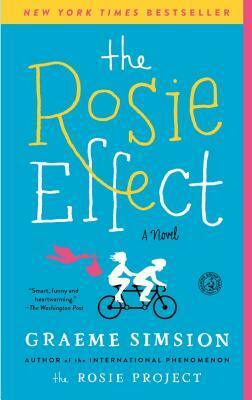 Picking up where The Rosie Project left off, The Rosie Effect is a fun, hilarious, and poignant read. “Don Tillman helps us believe in possibility, makes us proud to be human beings, and the bonus is this: he keeps us laughing like hell” (Matthew Quick, author of The Silver Linings Playbook). —Bill Gates, "Top Five Books of 2014"
"Don and Rosie are back!...Readers who loved the first book are in for another treat."